What is Ham Radio ? 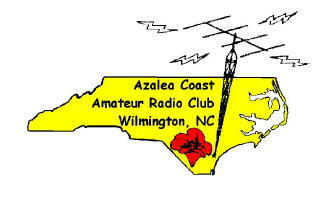 Azalea Coast ARC uses club call AC4RC for the 147.180 repeater, Field Day and other functions. Club Call NI4BK is used for events from the Battleship USS North Carolina. The Club supports many local activities, has a Volunteer Examiner program, elemers to new hams and helps with antenna and radio questions .